How can cities double down on fighting climate change? - Archpaper.com How can cities double down on fighting climate change? 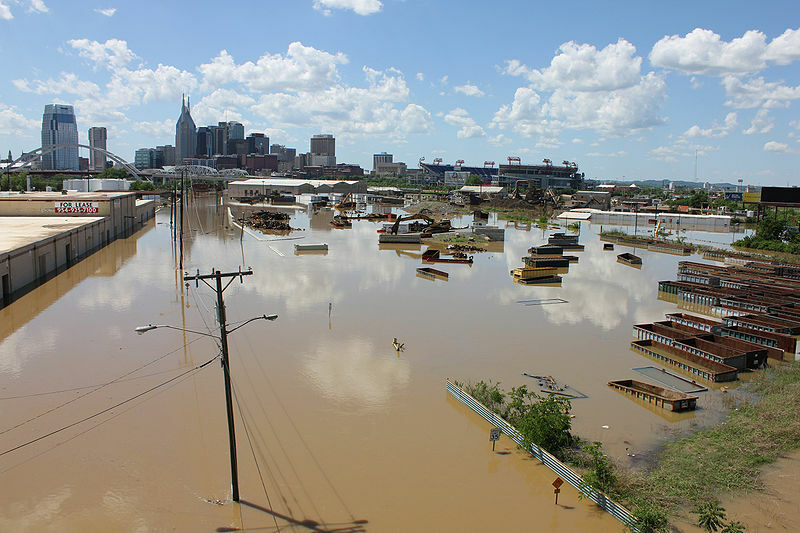 It’s widely accepted that climate change affects us all, and cities in particular. So what are some of the most vulnerable cities doing to adapt to rising seas and extreme weather events? Three experts from three cities—all of whom are current or former government officials—zeroed in on cities’ responses to climate change in their respective regions at a mini Columbia GSAPP conference titled Cities and Climate Action. They were: Jeffrey Hebert, from New Orleans; Adam Freed, from New York; and Rodrigo Rosa of Rio de Janeiro, a visiting scholar at Columbia University and a legislative consultant in the Brazil Federal Senate. Climate change, the experts agreed, is addressed not just through the environment—destructive hurricanes or deadly heat waves—but through a city’s culture, economy, and landscape. In New Orleans, starting around 2007, post-Katrina planning responded both to hurricane damage but also looked realistically at the profound impact of climate change on the urban fabric, explained Hebert, the city’s deputy mayor & chief resilience officer. Southern Louisiana, Hebert said, has the highest rate of relative sea level rise (coastal subsidence) in the world. New Orleans, consequently, has spent $14 billion in storm surge prevention, part of a $50 billion coastal master plan that covers the whole region. 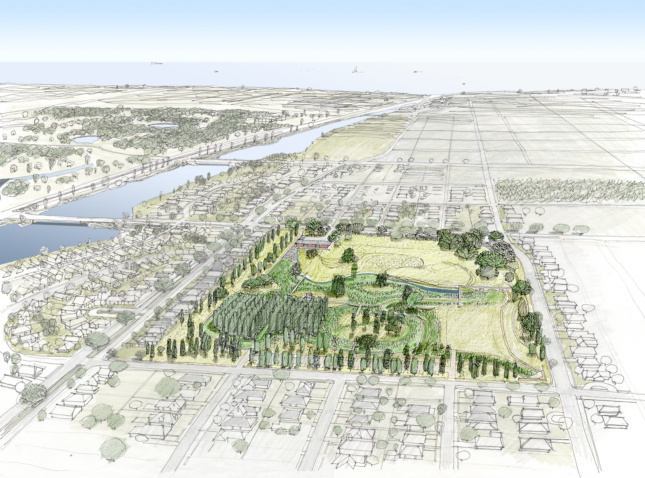 A tight network of interventions supports this goal: The 25-acre Mirabeau Water Garden is parkland that controls flooding, while rain gardens in medians, disaster preparedness strategies for buildings and neighborhoods, and a pumping system (second largest only to the Netherlands) keeps the city from being inundated. Climate change planning, though, goes beyond big-ticket water management. New Orleans residents are still recovering from Katrina trauma, and a new program addresses the barriers people face when trying to rebuild after life-altering events; after all, neighborhoods are nothing without their people. Hebert said a new city program, Connect to Opportunity, aims to reduce barriers to employment, build social cohesion, promote public heath, expand access to safe and affordable housing, redesign regional transit, and improve the reliability of energy infrastructure. That program is part of the city’s overall resilience plan that was adopted in 2015. Up north, New York City’s infrastructure is being upgraded to accommodate a growing population—a projected one million new residents between now and 2030. According to Freed, former deputy director of the NYC Mayor’s Office of Sustainability, the infrastructure boost “had absolutely nothing to do with climate change” but it was a collateral benefit from the city’s projected growth. To build resilience, “every facet of our built environment needs to change,” said Freed, who is now a principal at Bloomberg Associates. He noted that when he worked under former Mayor Michael Bloomberg, just two percent of buildings were responsible for half of energy use in buildings. To combat this, the administration launched the Greener, Greater Buildings Plan, which phased out things like heavy heating oil, one step in the city’s plan to cut emissions by 80 percent by 2050. Recent projects include CitiBike, which had more than 10 million rides last year, microgrids for local energy production, flood protection in public housing, and turning rooftops into green roofs. In a post-talk discussion, moderator and New York Times architecture critic Michael Kimmelman was joined by Columbia’s Kate Orff, founding principal of SCAPE and director of GSAPP’s urban design program, and Weiping Wu, director of the urban planning program. A few key points emerged: regional collaboration, meaningfully extending resilience to include local culture, and getting people to consistently care about climate change. There are surprising connections between the cities: Hebert noted that in NOLA and in Rio, carnival organizations provide deep connections for social cohesion. After all, big storms and rising seas are only the “spark in the tinder” that exposes existing problems, said Kimmelman. In the Netherlands, he added, people feel that water is “taken care of” and some fear that their fellow citizens have become complacent to the threat of climate change. Although it’s true that climate change is hard to see, people care about its effects—extreme weather, compromised air and water quality. That’s why, Orff said, projects that sport parks and green space but are also heavy-duty flood protection measures are a good strategy for public buy-in.